According to the plans, the Identity Documents Bill, which will be one of the first introduced to the new session of parliament, will if passed save taxpayers “around £86 million over the next four years once all cancellation costs are taken into account”. It will also save the public from paying more than £800 million in fees charged to applicants. Kable reports that the bill will lay out plans to cancel all identity cards and destroy the National Identity Register within one month of its passing. No refunds will be given to those who already hold cards. 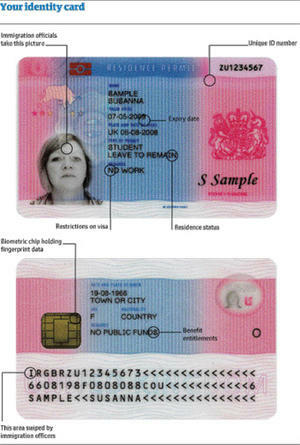 It will also immediately remove the statutory requirement to issue cards, and close the Office of the Identity Commissioner. The announcement said the bill will also strengthen the Freedom of Information Act, make the state more accountable to citizens and repeal “unnecessary criminal laws.” It will follow the Identity Documents Bill later in the parliamentary session, which will run until autumn 2011.